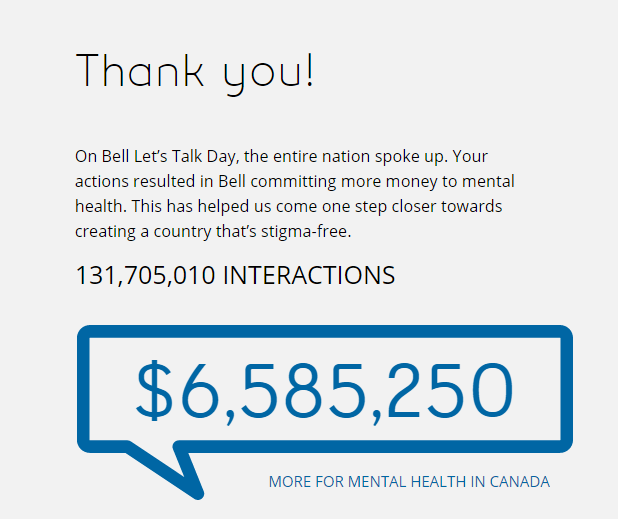 As most Canadians know, yesterday was Bell Let's Talk day; a day that aims to raise awareness and end the stigma surrounding mental health conditions. We believe that mental health shouldn't only be a priority one day of the year, but rather a continuous conversation between employees and employers that takes place throughout the year. Your employees' mental health is equivalent to their physical well-being, and that's why your Chambers of Commerce Group Benefit Plan offers coverage for counselling services along with other extended health care benefits. Each Chambers of Commerce Group Plan comes equipped with a Business Assistance Service; a program which offers up to three hours of professional counselling services at no extra charge to the employee. Your employee calls a toll-free number, has a confidential conversation about the issue he or she is facing, and is then referred for an in-person or over-the-phone meeting with a specialized counsellor. If the employee uses the full three hours of free service, he or she can continue to see the same counsellor using the coverage provided by the benefit plan, which will cover either a portion or the full amount of the appointment depending on the company's employee benefit program. To learn more about the Business Assistance Service, please click the button below or contact our office with any questions you might have.